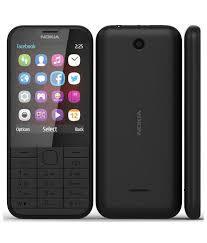 Nokia 225 dual sim latest flash files for Infinity Nokia Best Flashing device or Nokia Care Suite. This version of V-30.0.60 of flash files has Multi language's which is Urdu< English and Hindi. This phone has MTK 6260 CUP that's why only Infinity Best Box have supported it on other Nokia flashing device support it. That's why if you want to flash this phone with latest flash files then you need to install MTK USB drivers then Infinity Nokia best tool. Nokia 225 Urdu flash files you can download this zip pack of flash files from this site we also added multi-language files on this flash files pack. If you just want to change the language of your phone then just click on Infinity box Nokia best flashing tool language change only box then your phone language will be changed or if you have forgotten passcode of your phone then you don't need to full flash your phone just on service tab of your Nokia best-flashing device just click on format/factory reset your Nokia phone,s all setting will be reset to factory. How to flash Nokia 225 DS RM-1011 phone? Nokia 225 DS RM-1011 is MTK based phone so if you want to flash this phone then you need to select MTK band on you flashing tool then select RM-1011 then one by one flash files on the tab then connect USB flashing cable with your phone then flash. Before updating or flashing your Nokia 225 RM-1011 at home with Nokia care suite you must have to install Nokia MTK USB Drivers on your PC for downloading USB drivers click on the Link 1 and install on your PC then follow the next para. Or watch this Video how to flash Nokia 225 With Infinity Nokia Best Flashing device. Nokia Flashing tool like Nokia Care Suite or flashing box Like ATF Box installs on your PC. That firmware file is only for only for Nokia 225 RM-1011 don't try to install that firmware on other models of Nokia devices that can destroy your phone.